My only previous experience with border crossing into Mexico was the many times I have traveled into Tijuana south of San Diego. There crossing is a bit complex with the town center and shopping nearly a 1/2 mile from where you enter the border, so you can walk or choose the dedicated bus each way. 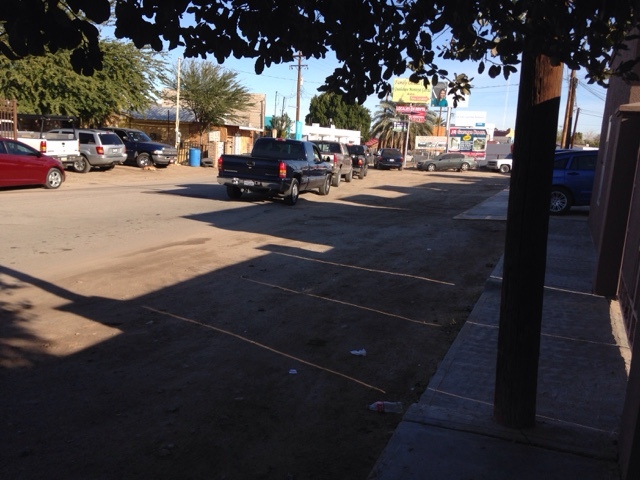 The walk to downtown is not obvious and you are hit up to buy things on the way. Some feel this walk is a concerning so then there is the bus. 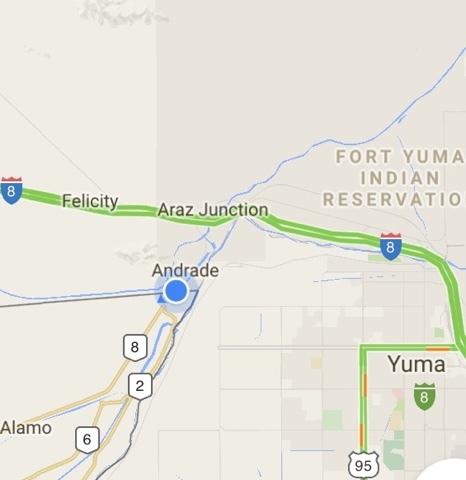 To get to Algodones you get off of I8, still in CA, a short distance from the AZ border. You head south in Indian Reservation land past the casino to the border, only driving a short distance, where the Indians run a very nice parking lot that feels very safe for $6.00, right at the border. 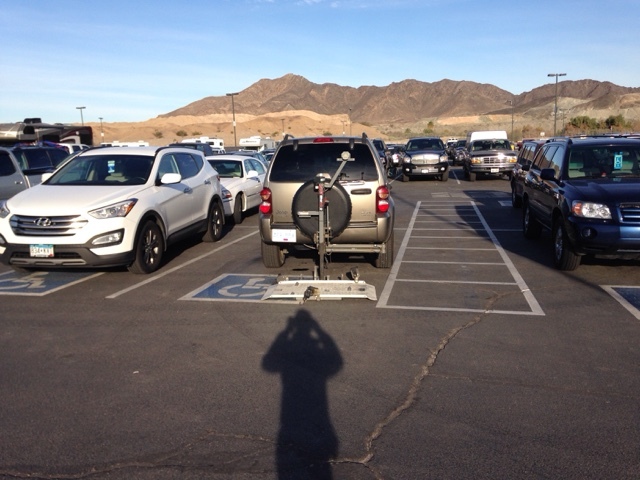 No serious walking unless you park way back in the parking lot. 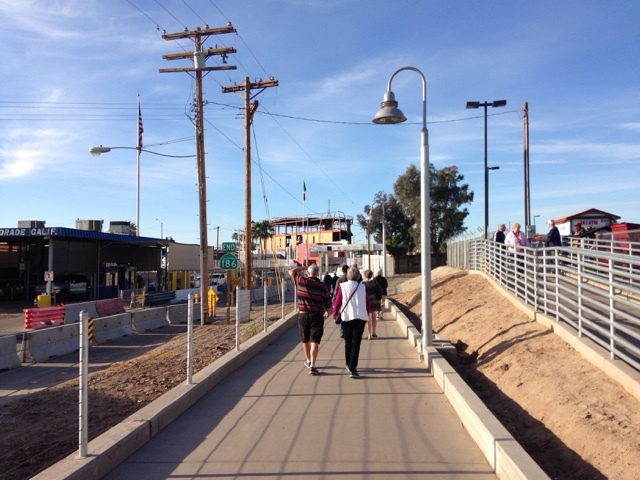 You exit the parking lot and down this ramp to the wide turnstile into Algodones, Mexico. 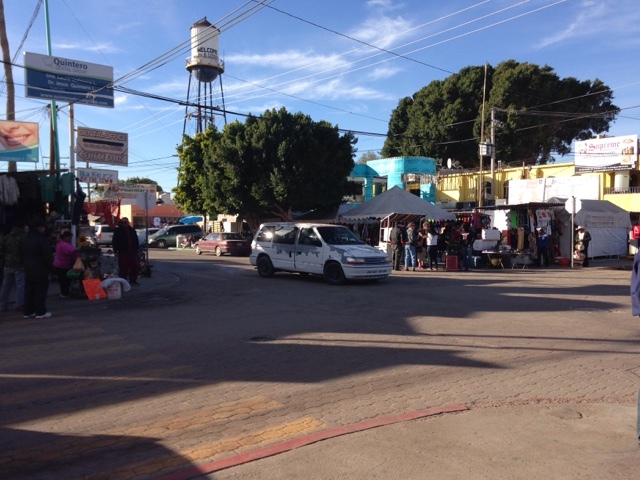 Note that you will not be alone in going to Algodones. There are all kinds of people from the US going in. Most are retired. Exiting the turnstile you are there. 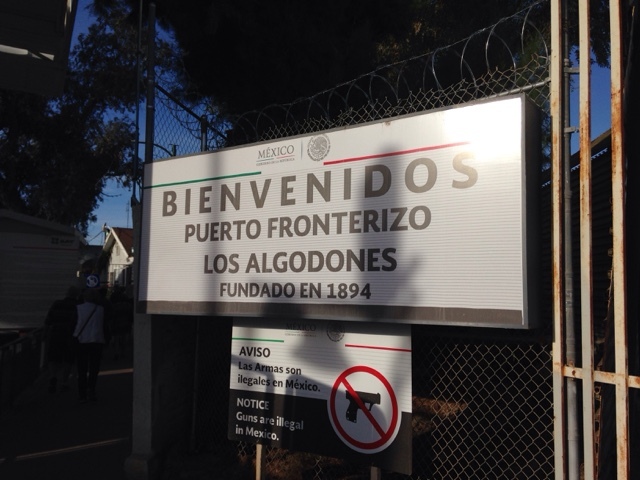 Algodones is a small town nestled against a the border. 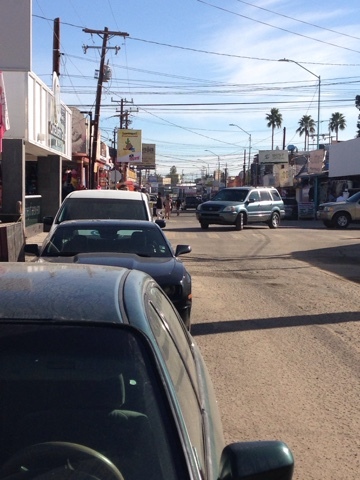 When you make your first step into Mexico there is no long walk or bus to mess with. 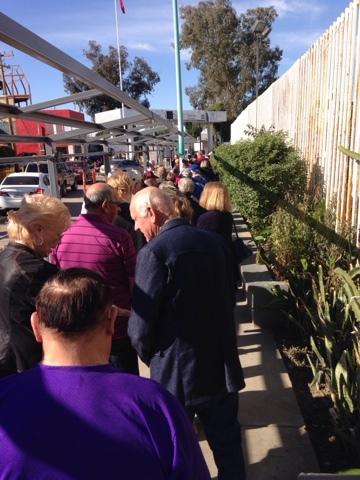 If you came for prescriptions the Purple Pharmacy is a few 100 feet from the gate. You are in and out. There are many pharmacies to choose from, but this is the most popular. Drugs are a fraction of the cost than on the US side. 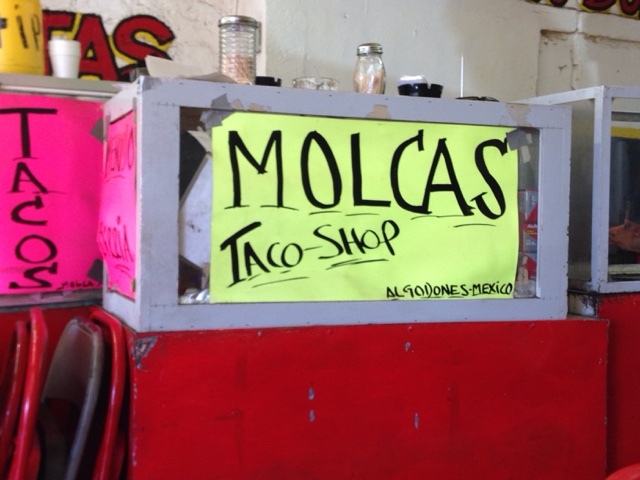 There are 3 major things that people go to Algodones for. Dental work, eye exams & eye glasses, and prescriptions. You don't need to bring a prescription with you to get many of the drugs you may use. Just walk in and buy them. Eyeglasses like my progressive are $175+. Eye exams are often free if you buy glasses. If you get there early most crowns or eyeglasses are ready later that day. If not you just come back the next morning. There is very little vehicle traffic so walking around is a breeze. I walked in with a woman who could see I was a first timer and she was going for a crown and because her debris was a few blocks away they pick her up in a car and bring her to the office. 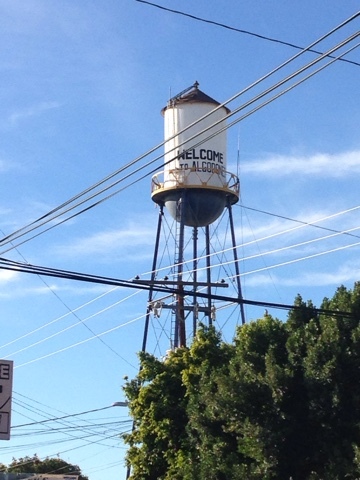 I felt safe the whole time and the locals are polite and nice to you. There is no language problem as most speak English. 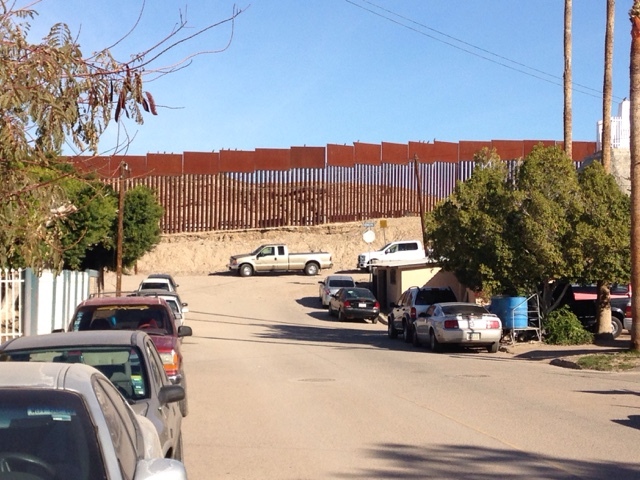 View of wall separating the US from Mexico brim the Mexican side. You will be asked by hawkers a hundred times once you enter what you want. Dental? Eyeglasses? Prescriptions? Or what do you want? Not sure on the last one. 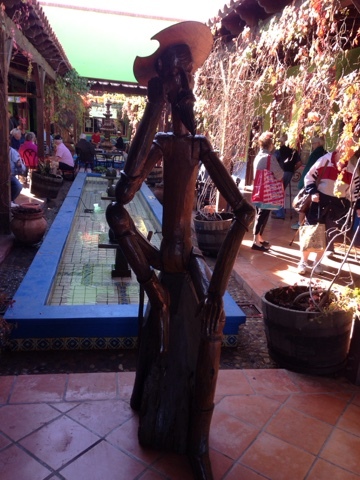 There are a few courtyards to sit and relax and have a drink. 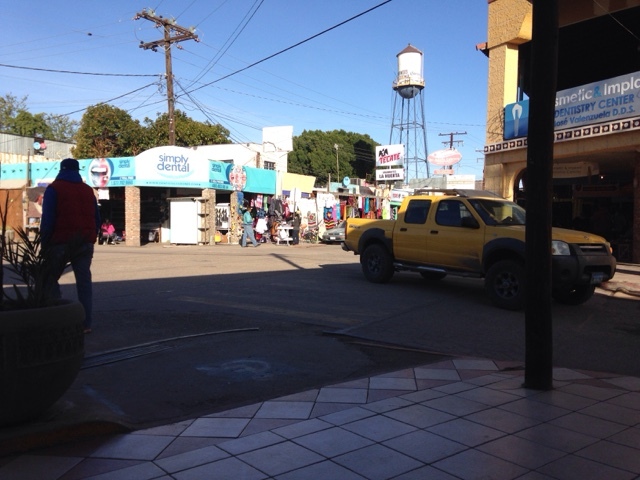 Many sidewalks are covered and narrow with lots of hanging items such as Jewelery, bags, and everything you would see at a Mexican market. I have a habit of searching out a place to eat for lunch. I saw a couple but chose this one for its dedication to Tacos although they sell other things. My lunch. 4 sauces (2 mild, 1 warm, 1 hot) with tortilla chips behind my died Coke. 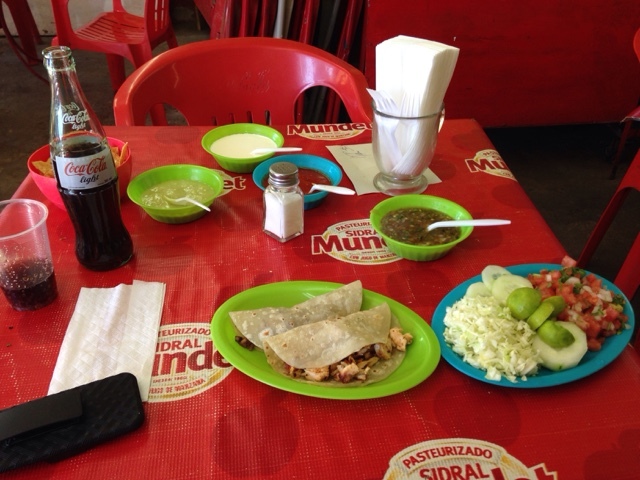 2 tacos (1 beef, 1 chicken) with a garnishing plate. How much you say? $5.00. That's it! Service was ok. The guy running the show was nice but stretched as he was the English speaker and running the cooker with meat on it. I had to ask twice for the Diet Coke although he had taken that order the first time. Then I asked to check out and never was told the bill total. So I watched and everyone that was checking out just got up and went to humans he gave the amount to the woman that seemed to be second in charge. You pay it and leave. These minor things don't bother me in this setting. I would go back again. Getting out is as easy as getting in but it takes a bit longer. This is the street in and out for pedestrians. 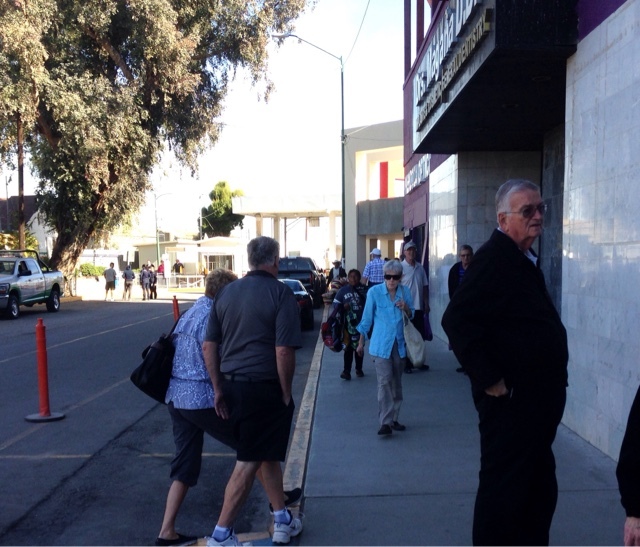 The line out, or back to the US forms on this side street where vehicle traffic is lined up to enter the US. It took me 20 minutes at 1:00 pm to get through the border. The later in the day the longer it may take. 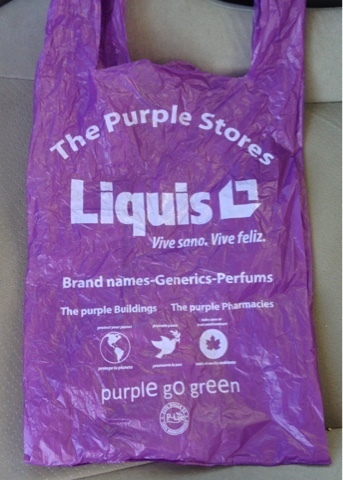 Many people returning have prescription medications (in purple bags) and the customs folks ask what you have and you tell them and as long as you are not carrying a bunch of drugs they don't even look and don't care you don't have a prescriptions for them. It was a good day there and I found it very interesting. It's worth a return visit if I have time before I head home.